- My friend telling me she would “pour one out for me” - you know... Like with rappers - pour one out for their homies that can’t be there... (Yes, I realize how very white I sound explaining that...) It cracked me up. - Pandora Radio - I have developed a deep and passionate love for Pandora Radio. Ever since I got my new phone, I have known that it was there... I just never took the time to explore it. Well, I got sick of having to actually hear people that sit near me at work, so I turned it on and picked The Beatles. I quickly got bored with all the other music that WASN’T The Beatles (yes, I understand that this is how Pandora works...) and decided that I wanted to listen to Pink instead. And am absolutely thrilled with the assortment of guilty pleasure music that has been rocking my brain out... I’m talking Gaga, Kelly Clarkson (right at this moment, actually), Katy Perry, Christina Aguilera, Rihanna... Most of these ladies are not ones that I would ever pay to own the music of, but I can’t help but bop along to the beat while walking around the office... LOVING it. 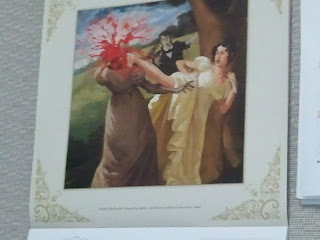 - My “Pride and Prejudice and Zombies ” wall calendar on my desk at work - it has the pictures that were in the book in full color... I love the weird looks and questions I get. But no one seems surprised to see it at my desk... Good? Bad? I think people just understand that I am not normal... And love me for it. "Elizabeth lifted her skirt, disregarding modesty, and delivered a swift kick to the creature's head." - Sea Salt and Turbinado Sugar Dark Chocolate Almonds from Trader Joe’s - Someone put a container of these on the counter at work to share... Umm... Fantastic. Salty, sweet, chocolatey... So good. The only thing that is weird to me is being at Target and seeing the book section and knowing that buying actual books is a thing of the past for me. Now I just have a list in my phone of “books I wants” (just like that because I always mis-type it that way anyway...) that I will eventually get on my Kindle. 2. AHHHHHHHHHHHHHHHH!!!!!!!!!!!!!!!!!!!!!!!!!!!!!!!!!!!!!!!!!!!!!!!!!!! BE HAPPY ONCE IN A WHILE!!!!!!!!!!!!!!!!!!!!!!!!!!!!!!!!!!!!!!!!!!!! - Chick next to me - As always. - Chick that used to sit next to me or MFP (sarcastically - My Favorite Person) - for some reason she has come to think that we are bestest friends and won’t leave me alone. - My nails breaking - the last remotely nice looking one broke today... Ugh. 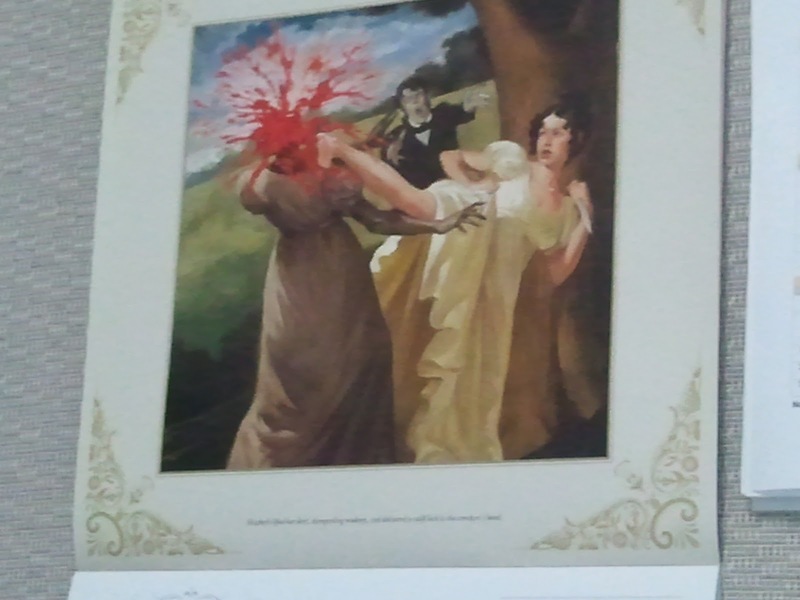 i loved pride and prejudice and zombies, but i'm pretty sure a calendar would freak me out a little bit, haha.